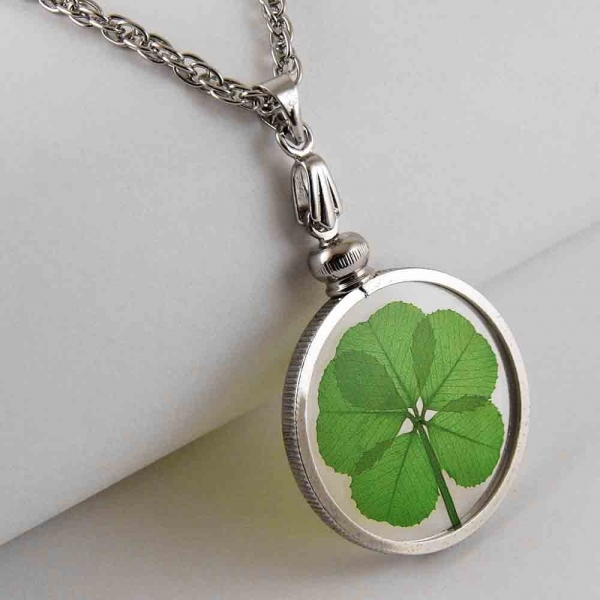 This lucky charm necklace has a RARE real genuine preserved 5 leaf clover captured between 2 pieces of crystal glass in a imitation Rhodium plated reeded edge bezel. The imitation Rhodium plated rope type chain is 18 inches. The pendant measures 1 inch in diameter. 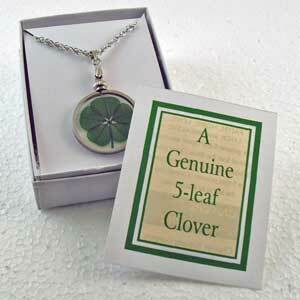 Necklace is gift boxed with a 5 leaf clover fact sheet and jewelry care sheet.